Ministry of Power conveyed that the President has appointed Ghanshyam Prasad, Chief Engineer, Ministry of Power as Government Nominee Director on the Board of Directors of POWERGRID. Ministry of Power conveyed that the President has appointed Ghanshyam Prasad, Chief Engineer, Ministry of Power as Government Nominee Director on the Board of Directors of POWERGRID for a period of three years or till an officer is posted in the Ministry or till the date of superannuation or till further orders, whichever is earlier. Ghanshyam Prasad is BTech (Electrical) from IIT, BHU; M. Tech (Energy and Environment Management) from IIT, Delhi and MBA (Finance). He is presently working as Chief Engineer in Ministry of Power, Government of India looking after reforms and restructuring (R&R) in electricity sector and Operation and Monitoring (OM) of Electricity Grid. Earlier, he worked as Chief Engineer (Distribution) in Central Electricity Authority and Director (Transmission and OM) in Ministry of Power. 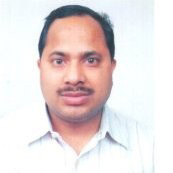 He has also served for about six years in Haryana Electricity Regulatory Commission. He has varied and rich experience in the field of power system operation and electricity sector. He is not related to the Directors or Key Managerial Personnel of the Company and is also not debarred from holding the office of Director by virtue of any SEBI order or any other such authority.